Unfortunately, I can't get my Nextcloud connected. I can't help without steps to reproduce problem. have you got my PM? I've wrote you the steps and sent you account data for testing. Yes, I have. I'll test it as soon as I have free time. Did you get hold of a phone? Here was image of device. Removed as OR doesn't allow size modificators for image. It's somewhere on the way to local post office. Can you add an operation for moving? Creating empty textfiles would also be nice. No problem. I'll check if it can be done with current architecture. I have installed Cargo Dock and added my Dropbox-Account. I can see and download files. I have simple .txt-files which I want to edit while I go. 1. Is it possible while the files are still in Dropbox? 2. If not, I am fine with editing files after downloading - but how to upload it again? 2. 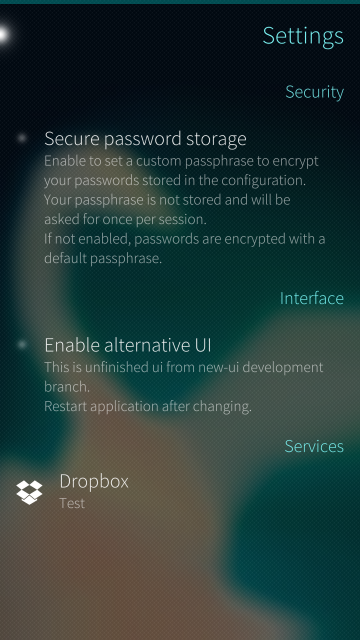 Yes, just copy from dropbox location to any local place. After editing just copy file back. 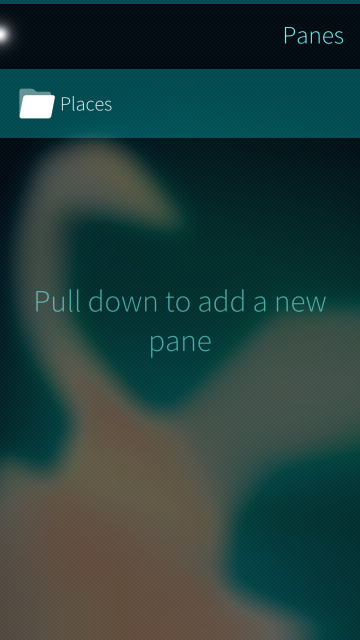 It should overwrite old version. Creating and extracting archives would be nice. Yes and no: Schturman's patch probably tries to edit something that exists in original cargodock but not in your fork. 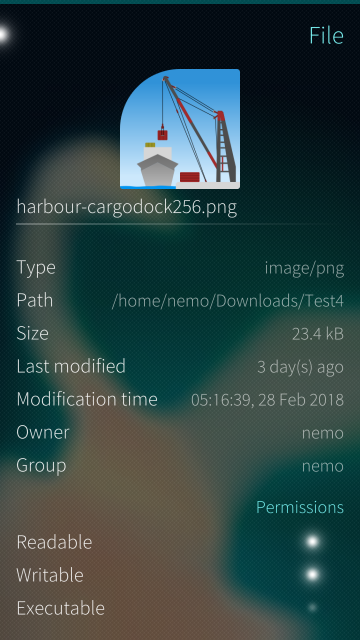 Patch applies on files which are the same as in harbour version. 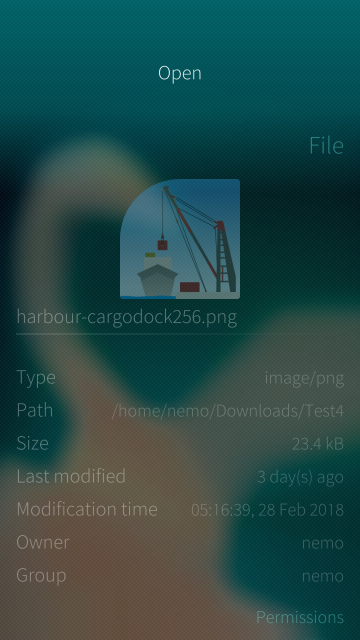 Seems not working with Schturman's patch «start as root» for Cargo Dock. I think that's not CargoDock problem. In misterious way zh_cn locale missed from the package. It will appear on next update. How to sort direcorys before files? How to sort files by date, newest first? Now you can find these options in settings. There's no such feature for now. 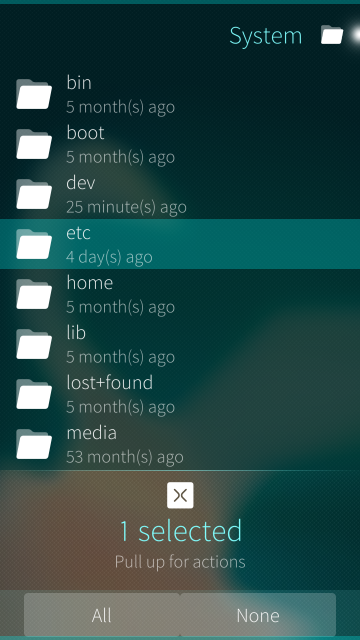 Thanks for the new version, is there a way you can add a search option to found files on the system? Need some research. I think it's possible. It'd be nice to be able to modify Places-page more. Like add a custom header and put bookmarks under whatever header you want. Custom name for a bookmark would also be nice. I'd prefer to call 'nemo' directory 'Home'. Also a possibility to remove default places would be good. 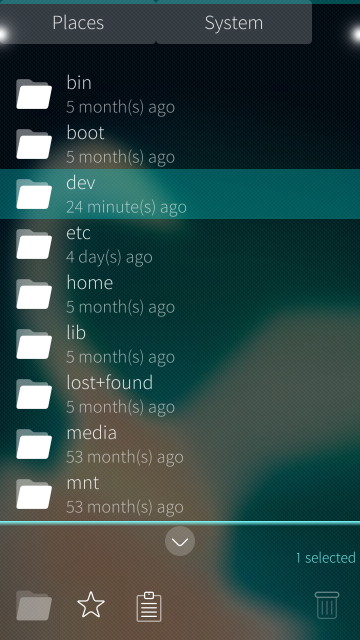 It's also a bit odd that without bookmark the only way I could get from places to nemo's home directory was through the system folder. More sorting options is needed. I would like for directories to be first as they are in many file browsers these days and files after directories. Also I find some design solutions a bit horrid, especially in the modern UI, but they're not that important at the time. If at some point I find the motivation and time, I might introduce some of my own design ideas via pull request.